We are able to design using the latest 3D design software and manufacture complex systems to suit customers’ functional specifications whilst meeting international standards. Hydratron’s reputation as the supplier of choice for Custom Designed systems has developed over many years of collaborative engineering projects with our customers. We are always excited to be asked to help our customers develop unusual and demanding functional requirements into working solutions. 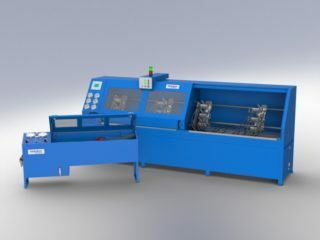 Hydratron’s range of Hose Test Rigs provides customers with the opportunity to have either pre-engineered or custom designed capability. 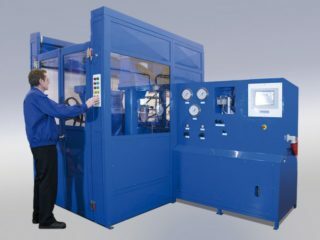 Hydratron offer a wide variety of Test Manifolds which are designed and manufactured to enable customers to Control and Test many components at once. 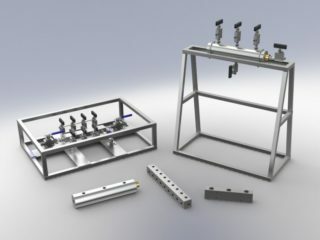 These robust and easy to operate Test Manifolds are designed for Liquid and Gas service, directing flow & pressure to the test piece in a controlled and safe manner.